As 2015 draws to a close and I look back over the past 11 months, I realize I’ve attended more shows this year than any other, no doubt due to joining the Dead Rhetoric staff in late January. 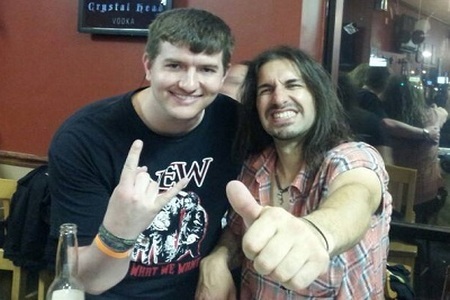 Whether being introduced to Night Demon by fellow scribe Matt Coe in January (and again catching back to back gigs and hanging with the band during their return to the East Coast in the spring), getting to reconnect with scribe-turned-editor Kyle McGinn during Amaranthe’s stop at the Worcester Palladium in May, or covering tours such as Overkill/Symphony X, Blind Guardian/Grave Digger, GWAR, CAGE, and the 26th Wacken Open Air Festival, it’s been an exciting year. I’d like to take this opportunity to thank David and Kyle for allowing me to combine what I do for a living (I write for a local newspaper) and what I live for (that adrenaline-pumping, fist-raising, headbanging entity we’ve all come to know and love as heavy metal). It’s been a fun ride and I look forward to continuing the journey into 2016! 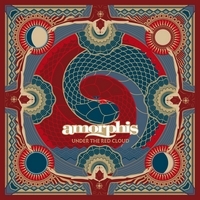 Under the Red Cloud and The Ride Majestic could be virtually interchangeable, but what put the former over the top is Amorphis’ ability to use so many different textures within its progressive melodic death foundation, resulting in one of its strongest outings in its longstanding 20-plus-year career. From the beautiful piano intro of the title track, to the Middle Eastern strings and flute accents of “Death of a King” or the playful folky-ness of “Tree of Ages,” Red Cloud is brimming with some of the richest, most infectious melodies you will hear this year. 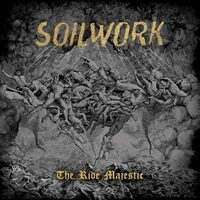 Easily one of the year’s best melodic death metal releases, a convincing argument could be made for The Ride Majestic being album of the year. Although I have it as number 2, there’s no arguing about the level of musicianship and songwriting exhibited here. 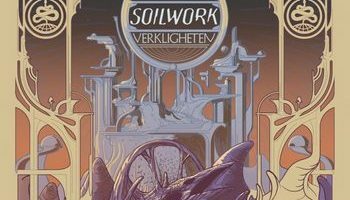 From the double bass destruction of “The Ride Majestic (Aspire Angelic),” the lush melodies of “Alight in the Aftermath,” or the more somber undertones of “Father and Son, Watching the World Go Down,” Soilwork has assembled a collection of diverse yet melancholic melodic death metal treats. 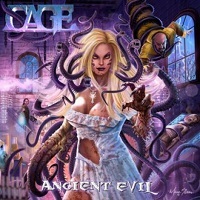 With guitarists Dave Garcia and Casey Trask shredding solos and dishing out lead breaks with more frequency than a house with a well-stocked bowl of candy on Halloween night, a monstrous low end provided by Dwight Magic, thundering drums from Sean Elg, and vocalist Sean Peck’s air raid siren wails (especially the title track), American power metal kings CAGE definitely have a powerhouse of an album on their hands with Ancient Evil. 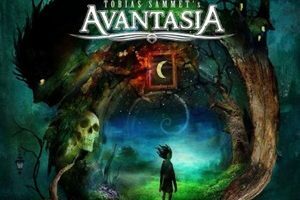 Highlights include “Across the Sea of Madness,” “Behind the Walls of Newgate” and the King Diamond-like “The Appetite.” What really brings this one over the top is the fact that it’s a concept album based on a horror novel written by Peck. Don’t miss it! 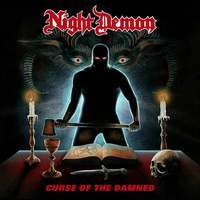 While I consider myself an eclectic music listener, NWOBHM, traditional and speed metal dominated my focus this year, much of which leads back to Night Demon, whose full-length debut is chock full of each. 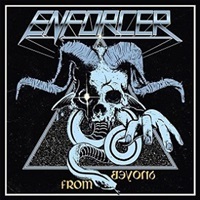 Be it the hard-driving “Screams in the Night,” the toe-tapping, mid-tempo “Mastermind,” or the Scorpions-esque title track (think “The Zoo”), you really can’t wrong with any of the songs here. It may not be the most original release of 2015, but from start to finish it’s a tour de force of fast, powerful, catchy songs and when you write this well, there’s no need to reinvent the wheel. 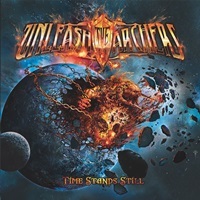 Canada’s Unleash the Archers clearly have a knack for power and melody, as Time Stands Still is filled with both. Bursts of death growls add grit and edge, as they intertwine with the shrill screams of Brittney Slayes, whose falsetto, which ranks up there with the best of the genre, possesses plenty of strength without forsaking melody (“Tonight We Ride”). While guitarists Andrew Saunders and Grant Truesdell give their fingers, and fretboards, quite a workout (“Frozen Steel”), perhaps the song that best embodies the spirit of the band is “Test Your Metal,” an anthem that is as much fun as it is heavy. 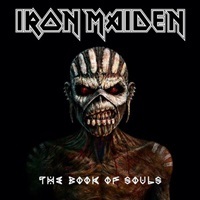 The first double album of Iron Maiden’s illustrious career is more in keeping with The Final Frontier and A Matter of Life and Death, staying in the progressive, epic song arrangement mold, rather than the hard-hitting straight-forwardness of early masterpieces like The Number of the Beast or Powerslave. However, Souls has earned a place among those timeless classics thanks to the songwriting on display. From the broad scope of Dance of Death-flavored “The Red and the Black,” the poignant “Tears of a Clown” about Robin Williams, or 18-minute Dickinson-penned “Empire of the Clouds” (worth the price of admission alone), there’s not a note wasted. While Diamonds may be Enforcer’s finest hour, From Beyond gives it a run for its money. 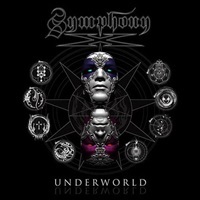 Highlights include the addictive “Undying Evil,” the more epic-like “Below the Slumber,” the sing-along-friendly title track, and the signature instrumental “Hungry They Will Come.” But really, there’s not a skippable track on here. As the band continues to grow and mature, so does its songwriting. 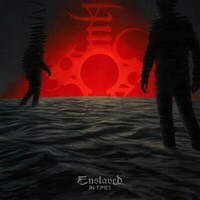 With In Times, Enslaved have found the perfect combination of Norwegian black metal and progressive elements to create powerful songs that take the listener on a journey you’ll want to repeat time and again. The vocal tandem of harsh growls from Grutle Kjellson and haunting cleans from keyboardist Herbrand Larsen, who also adds subtle melodies, works particularly well juxtaposed against the icy buzz-saw riffs of Ivar Bjornson and Ice Dale (see “Building with Fire”). 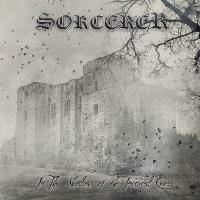 While the echoes of Black Sabbath and Candlemass can be heard in the epic doom metal of Sorcerer, the band incorporates many different elements, both musically and especially vocally (Anders Engberg shines throughout the album), to set themselves apart from just becoming another clone or imitator. This is especially apparent in the solo and lead work from guitarists Kristian Niemann and Peter Hallgren. It also doesn’t hurt that the band is able to craft well written songs, filled with addictive melodies and thundering rhythms.